Fall Into Reading Challenge conclusion: I didn't accomplish everything on my list. I got close, but it didn't quite make it. 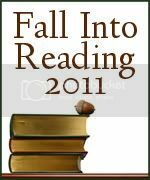 I would be tempted to be annoyed with myself but this exercise of setting goals was actually quite helpful in directing my reading throughout the fall and as I read along, my thoughts and ideas about what types of books are important to read changed. Also, I found having an initial list of goals quite helpful because whenever I hit a reading slump or pause, I could revisit my list and see what was important for me to read. It helped me prioritize which is always a good thing. Here is my original list and below is the same list and why I read or didn't read books that I originally included in my personal fall challenge. 1. A Sound Among the Trees , by Susan Meissner. I started this one but haven't finished it. Meissner gripped my attention in the opening pages so I don't reckon it will take me very long to get through this particular read. It's my "over the week of Christmas book" and I'll share my thoughts on it come January. 2. The Woman Who Heard Color - I read that one and the title is linked to my review. I really, really enjoyed this one! A lot! 3. God Behaving Badly . I didn't read this and I'm not going to. After reading Lit! A Christian Guide to Reading Books (linked to some initial thoughts), I came to the conclusion that reading God Behaving Badly was really not something that would edify me and/or be beneficial. I'm going to spend my valuable reading time elsewhere. 4. Why Church Matters, by Josh Harris - Linked to my review. Excellent, excellent read. I highly recommend it! 5. Lit! 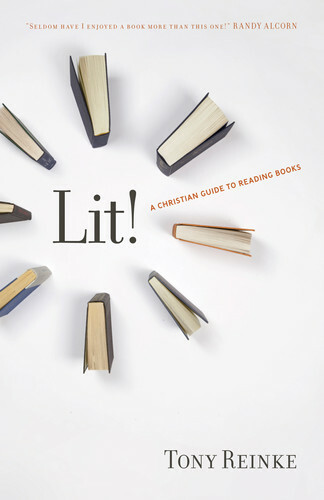 : A Christian Guide to Reading Books - I've linked this one to my initial thoughts. This book has been positively life changing (as books are a great part of my life) and I'm still pondering how to make certain practical life applications. I heartily and enthusiastically encourage anyone and everyone to Read This Book!!!! If it's the only book you read in 2012 (and it won't be) then it will be worth it! 6. The Second World War (book series) by Winston Churchill - I knew this would be a serious project. And it will be! I read The Gathering Storm (post 1 & post 2) which I divided up into a Reader's Diary sort of post. I hope, plan and intend to continue on in this excellent series in 2012. 7. The Grimm Legacy - Linked to my thoughts. Majorly disliked this particular title and do not recommend it at all! 8. An Experiment in Criticism , by C.S. Lewis - I was hoping to read this on the heels of Lit! but I ran out of time. (Having just finished Lit! this past weekend.) Since these two titles go hand in hand and I'm ruminating on this very topic, I'll be getting to this title immediately after the one I'm currently reading. 9. The Princess Bride was going to be a re-read for me (just for the mere pleasure) but I didn't get to it in time. I'll still look forward to re-reading it. 10. I had planned to read a Betsy-Tacy book as part of Sarah's Maud Heart Lovelace Reading Challenge and I did manage to squeeze in a re-read of Betsy-Tacy and Tib at the very last minute! (Linked to my thoughts.) I always enjoy this challenge and have every intention of joining in again next fall! So that's how I fared during the Fall Into Reading Challenge. Thanks, Katrina, for hosting! This is such a great tool for me to use and I have a feeling I'll be making good use of your Spring Reading Challenge as well! It starts Monday, January 2, 2012. Also, the Reading to Know online Bookclub will be starting up and our first title is Beyond Opinion , by Ravi Zacharias. 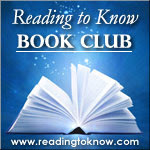 To learn more about this online bookclub, click on the button below. Thanks for giving me this idea of having a reading challenge. I have picked a number of books that I hope to read over the next few months. But my problem is that I have good intentions but never get round to it. How do you manage this? I'm curious about God Behaving Badly, though it would probably make me mad to read it. I believe there can be a value to reading opposing views to mine. But I do try to be choosy. I'd like to read The Princess Bride, too. I read more books than the number I had on my challenge, but didn't get all the books on my list read. Oh well! There's always next year! LOL Have a blessed Christmas, Carrie. Oh, I so get what you're saying. The list is helpful, but it's not something we HAVE to stick with. More often than not my reading doesn't quite follow my initial list, but it is a helpful process. I haven't read God Behaving Badly, and I think the title errs of the side of being too controversial, but it looks like, from the description and the reviews on Amazon, the author is saying the opposite and defending God's reputation. But I still don't know if I'd read it. You have quite an eclectic list! I just started Lit amd am enjoying it so far! I look forward to what it has to say. I am checking out the C.S, lewis book you mentioned. I have never read Princess Bride either, so planning to look at that one too. I didn't even know there was a book of the Princess Bride. I have added it as well as some of the other books you suggested. So glad the goals and challenge are helpful for you -- they are for me too, even though I rarely finish everything on my list. Good for you in applying Lit and deciding not to read God Behaving Badly! Thanks for being part of FIR '11, Carrie!